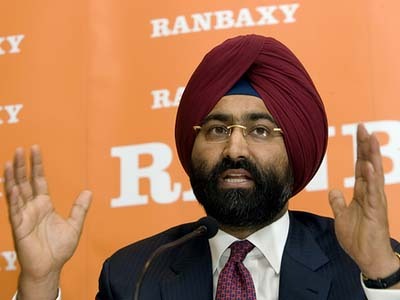 Ranbaxy posts quarterly net loss of Rs 761 crore; third loss in a row! Exhibiting one of its worst quarterly performances ever, Ranbaxy Laboratories – now owned by Japanese firm Daiichi Sankyo - has posted its third straight quarter of losses, for the quarter ended March 31, 2009. Citing foreign exchange instability, a 14 percent drop in its US market, and pricing strain in key markets, Ranbaxy posted a net loss of Rs 761 crore during the quarter – a dramatic turnaround from the Rs 153 crore net profit figures in 2008. In the previous two quarters, Ranbaxy posted losses of Rs 680 crore and Rs 394 crore. Ranbaxy has also presaged lower 2009 sales, as against the sales last year. It expects the sales figures to fall from last year’s Rs 7,250 crore to Rs 7,000 crore; thereby projecting a mammoth Rs 800 crore loss for the full year. According to the company’s Friday statement, the fall in sales will not result from any further impact of the USFDA decision of banning 30 drugs manufactured at Ranbaxy’s two Indian plants, and stalling the approval of drug applications, alleging that the company is falsifying test results to sell its drugs in the US.